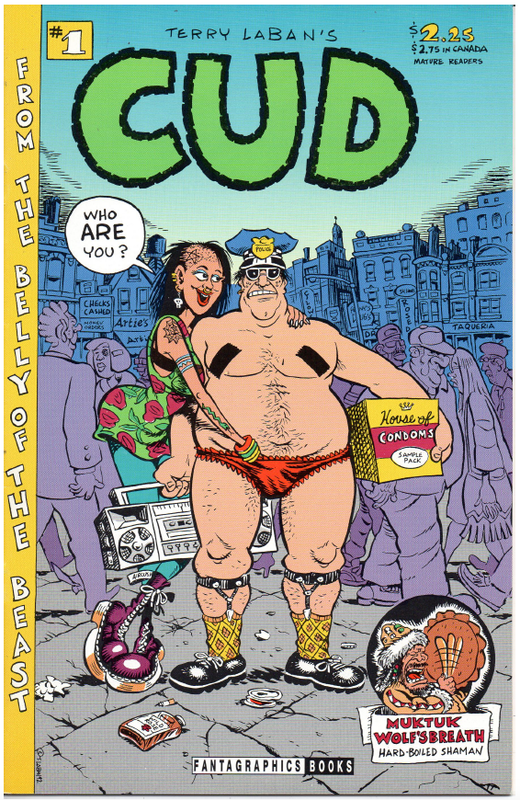 From 1992 to 1994, I created the comic book series Cud for Fantagraphics Books. 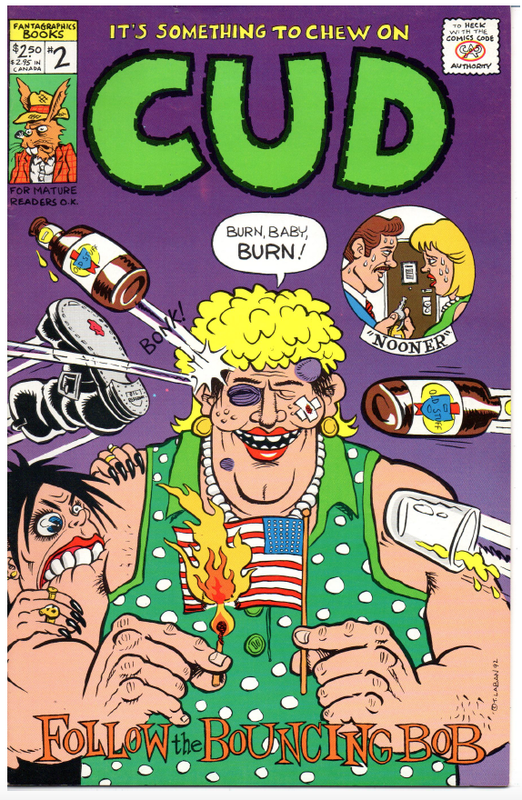 A sort of nouveau-underground exploration of my subconscious at the time, each issue of Cud featured a continuing story about Bob Cudd, a performance artist who achieves global stardom only to see it all come crashing down, as well as one-off secondary features, including Muktuk Wolfsbreath, Hard-Boiled Shaman, which went on to become a DC Vertigo miniseries. 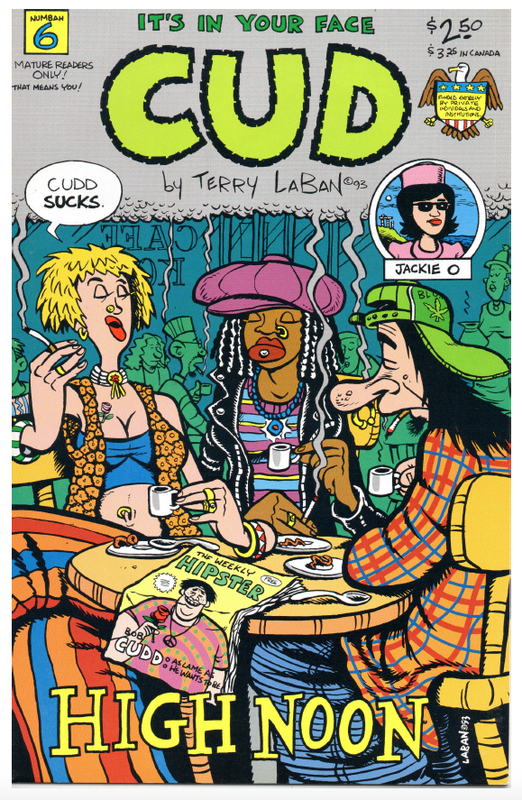 Cud was never collected in paperback due to personal disorganization and my departure from Fantagraphics to Dark Horse Comics, where I created a second Cud series, Cud Comics, which, despite the title, featured completely different characters. 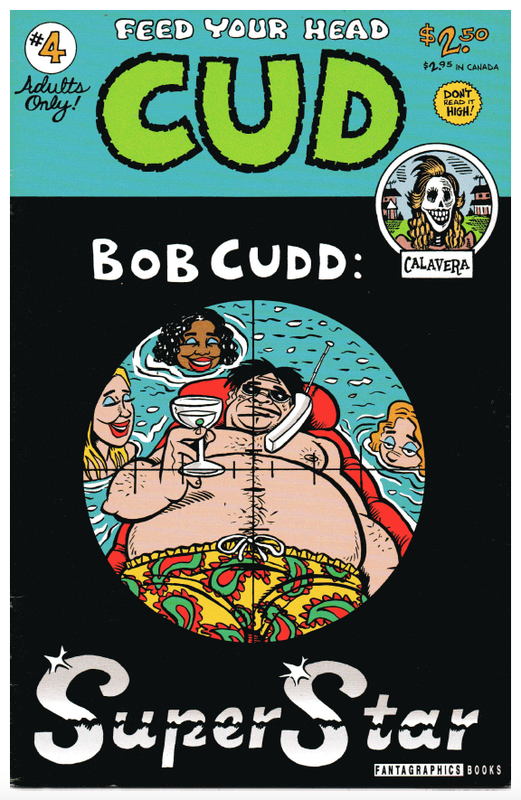 Since then, Cud has been out-of-print and unavailable to anyone who didn't possess the original books. Now, you can read it once again, in it's entirety. 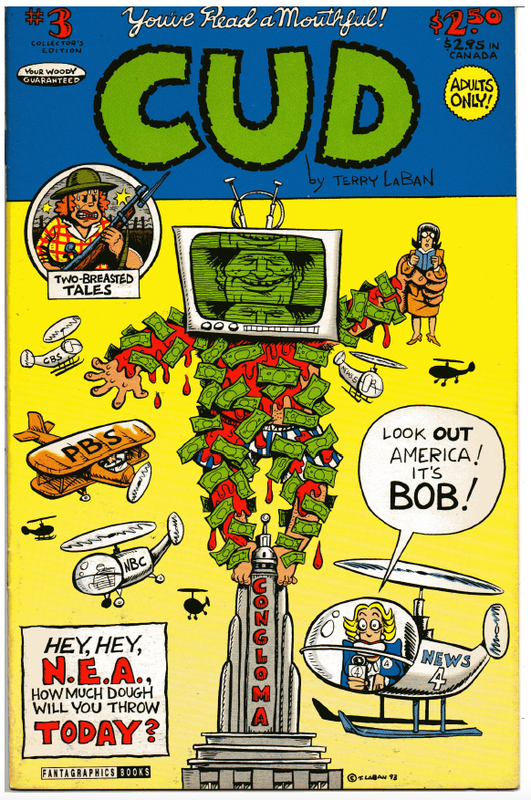 It helps if you're familiar with the social and political history of the early 90s, but not mandatory. 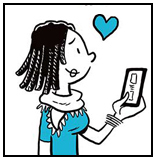 Thanks to Justin Berthelsen for creating these PDFs.